All doors must open! 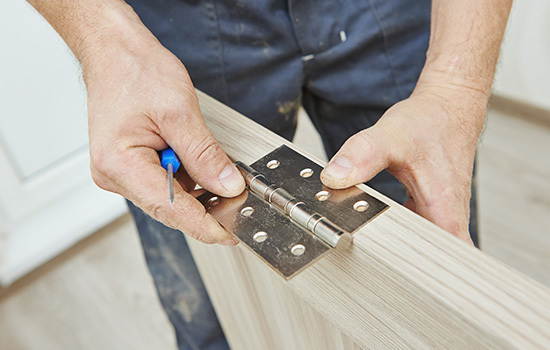 We offer a wide variety of hinges and have the expertise to match the perfect hinge to your needs for every door in your establishment. We can help you select the right hinge by providing guidance with our hinge selection guide. Take into account size, thickness, and weight of the door. For example, wider and heavier doors create more strain on hinges, so utilize taller hinges for these doors. Keep in mind frequency of use and type of traffic a door will face. Will it deal with abuse, or is it minimally used? Hinges for wood doors with wood and metal frames, as well as hollow metal doors with hollow metal or channel iron frames. We also offer pivot reinforced full mortise and concealed hinges.